Before the scorching summer sets in, I like to spend time in our sunny patio room. Here is a little patio room decor round up inspired by the Southwest meets modern style often seen in Austin. For more fun Valentine’s day cards and crafts look here. Go outside and play — that’s what I reminded myself to do today. When I was a kid every time I went outside I picked up something to add to my cabinet of natural curiosities, also know as my bookshelf. Sometimes I’d take sticks, flowers, or even insects, but I never left empty handed. Check out these lovely designs by Kaili Monsef of Waialea Jewelry . Kaili was born and raised in Hawaii, many of her creations are inspired by her home and island culture. She transforms natural materials like shells, wood, leather and sea urchin spines into stylish pieces. You can view her entire look book here. Square launched it’s brand new Market — an eCommerce marketplace addition to their platform where small businesses can sell their goods online. 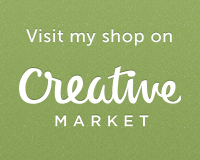 I’m excited that Satchel & Sage has been featured as one of their showcase shops. Renegade Austin was a blast! We are so thankful to everyone who came out to see Satchel & Sage. The best part about participating in Renegade is the people. We met so many inspiring artists, and enjoyed meeting and greeting the Austin community. We would also like to thank the Renegade gang; they are such an awesome group of folks y’all. Check out our studio tour with them on the Renegade blog. See you at Renegade San Francisco: July 27-28! Satchel & Sage will be at Renegade Craft Fair- Austin May 18+19 and Renegade- San Francisco July 27 +28! Come see us ! !